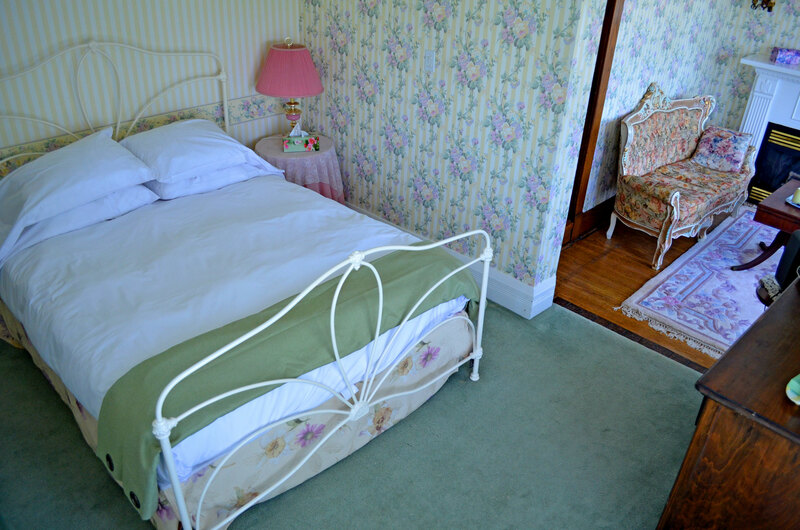 With pastel stripes and floral wall paper this beautiful 2 room suite located on the 2nd. floor in the older part of the house. 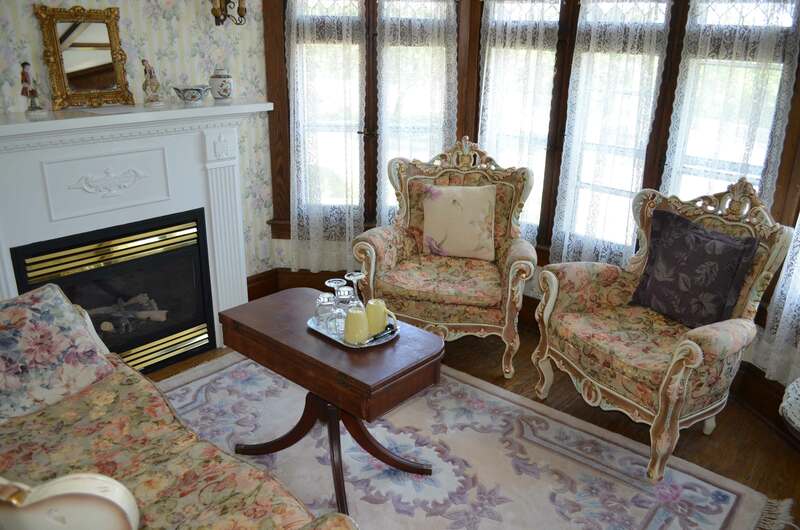 The sitting area is in the turret and has wrap around leaded glass window which over looks the Niagara Gorge. This room has a queen bed and ensuite bathroom with shower. There is also a fireplace in the sitting area as well as cable television, air-conditioning and compact refrigerators.